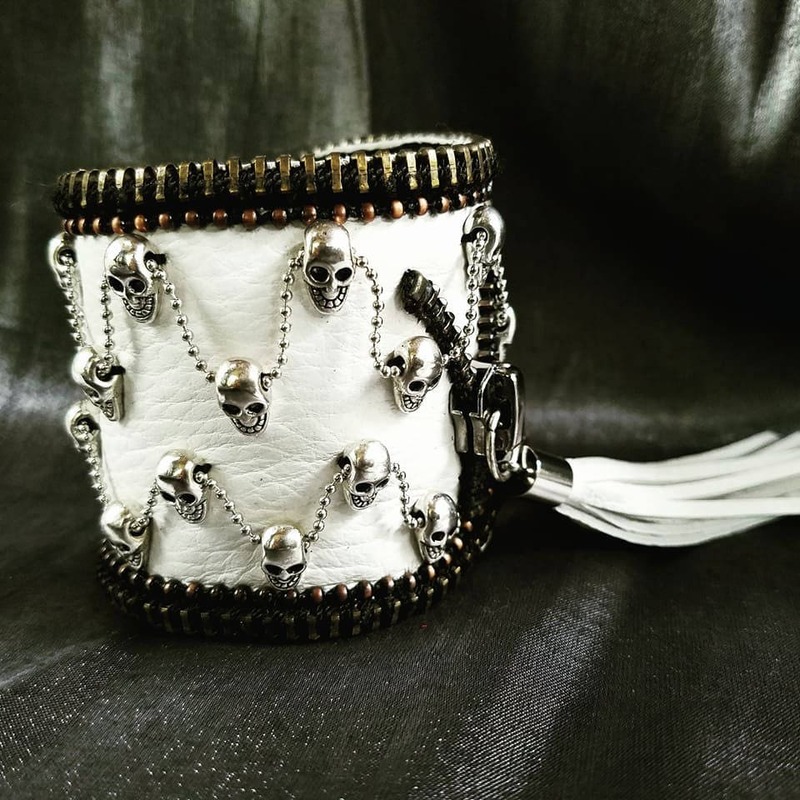 100% Genuine White leather with small skulls and chain. 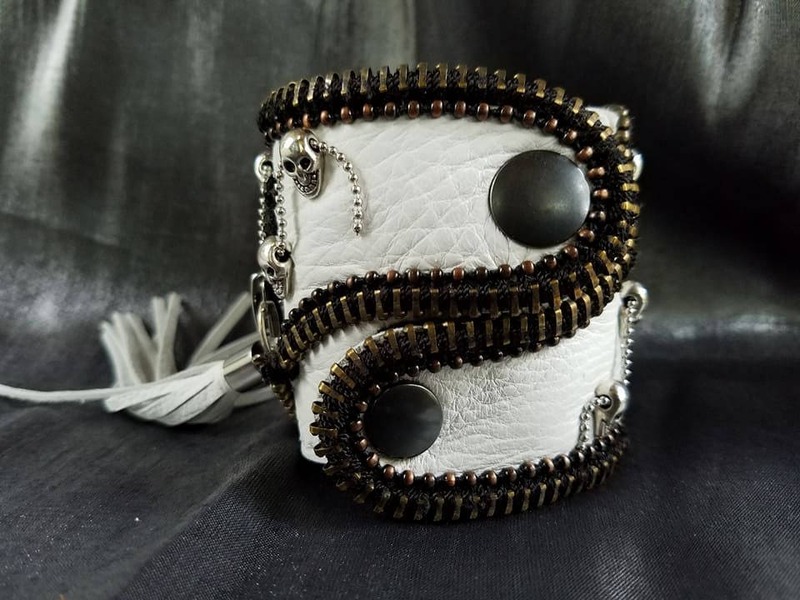 It can be ordered in a different size and color leather. 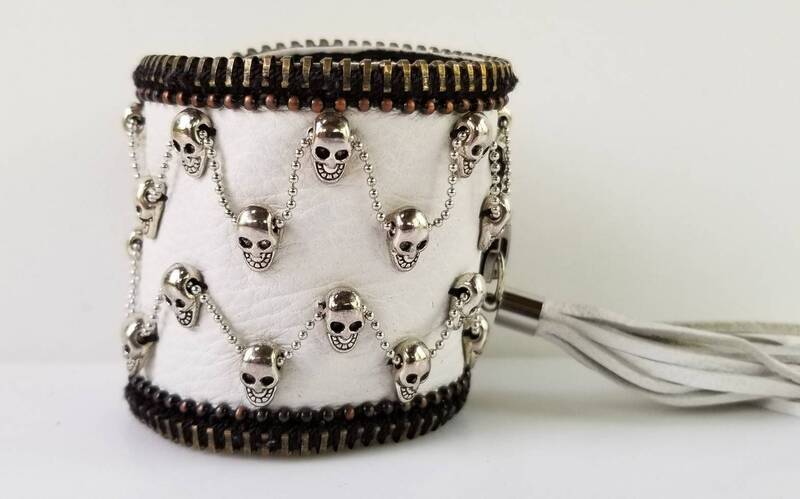 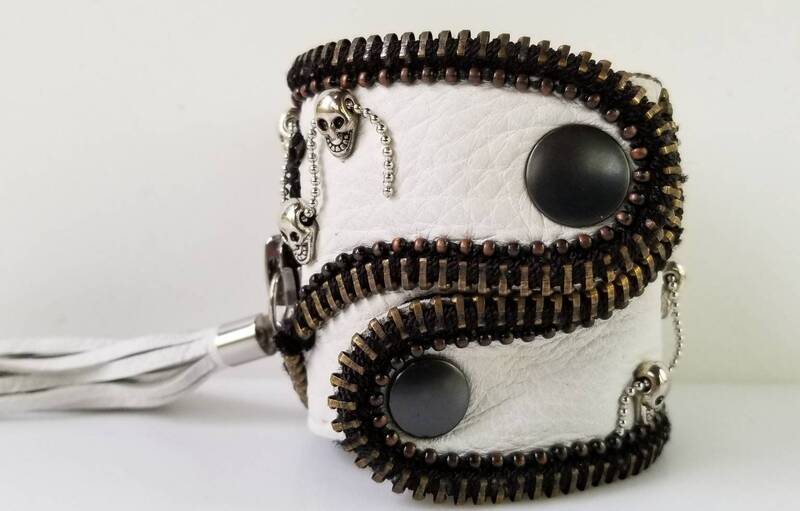 This cuff fits a 6" wrist. 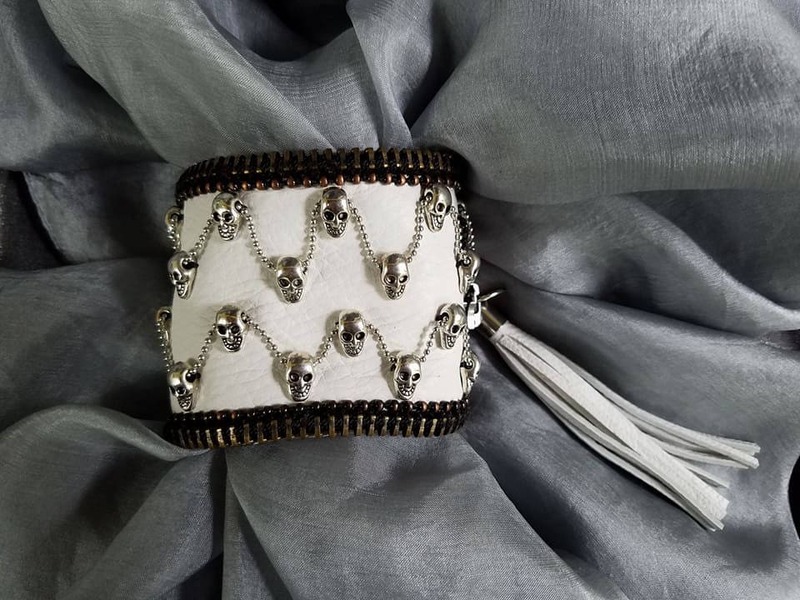 For information about the choker please click on link.